AOCI Bible Training Institute (ABTI)  How Was the New Testament Formed? The most commonly-asked question directed at me when I speak on university campuses or in churches is: "How was the New Testament formed?" Because the church has always believed that the documents found in the Bible are "inspired" writings and the most important source documents for the life, death, and resurrection of Jesus Christ (and Christian doctrine), this is not only a good question, but a critical one. This study will focus on the documents in the New Testament canon1. The early Christians accepted the Old Testament in the same format as the first-century Jews. The Old Testament had been decided upon in the second century B.C. and the New Testament writers used the Greek version, the Septuagint2. it must have been cited by early Christian writers and be accepted by the majority of churches. Although these criteria sound reasonable, one cannot find a clearly described methodology like this in the patristic3 writings for how they decided which works would be in the Christian Bible, the New Testament. Many early writings were accepted as inspired by some Church fathers, yet failed to meet one or more of these conditions. To some degree, a few New Testament documents do not satisfy these criteria. I believe Tenney must have also mentioned that the canon was confirmed at a church council  this point stuck in my head for years and many people have echoed this belief over the years. In fact, the exact list of New Testament documents was confirmed at the third Synod of Carthage (397 AD), but this was only a regional council and by this time the 27 New Testament documents had already been agreed upon by most of the Church  with some exceptions. The New Testament was not dropped from heaven. The New Testament was not delivered by an angel. The New Testament was nor dug up in a farmer's field as golden plates like the "Book of Mormon". The New Testament was not suddenly "discovered" in a clay jar with 27 "books" intact like the Dead Sea Scrolls4 or the Nag Hammadi5 texts. The New Testament canon developed, or evolved, over the course of the first 250-300 years of Christian history. If the New Testament had been delivered by an angel, or unearthed as a complete unit, it would not be as believable. Part of the historical validity of the New Testament comes from the fact that we can trace its development  albeit not as precisely as we might like. I will attempt to trace this development from the introduction of the Gospels to the highly disputed Revelation of St. John. I have done this in the main part of the study along with the content of the first four centuries, so you can "see" this development within the proper historical context. Oral tradition was the normal mode for communicating the teachings of a master in the ancient world. For one thing, before the use of papyrus was widespread, writing was both clumsy and expensive. Using a stylus on a clay tablet worked, but once the clay dried, no "corrections" or "edits" could be made. Writing on a scroll made of an animal skin was certainly an improvement, but was still limited. The widespread use of papyrus for the ancient world was like the coming of the internet in the modern world  a virtual explosion of written communication began. As great teachings began to circulate in written form, ancient writers continued to be skeptical of using the written word. There was a sense that it fell far short for the communication of treasured knowledge. Church historian Eusebius relates this thinking from the fragments of Papias: "But I will not hesitate also to set down for thy benefit, along with the interpretations, all that ever I carefully learnt and carefully recalled from the elders, guaranteeing its truth. . . . For I supposed that things out of books did not profit me so much as the utterances of a voice which liveth and abideth." Irenaeus (A.H. V.33, 3-4) quotes another passage from Papias where the author tells us that he knew the Apostle John. This represents one of the earliest references to an early oral tradition within Christianity: Papias was writing down what he remembered hearing from the mouths of John, Polycarp, and others; so even though he was writing, he was writing down oral tradition. This citation is especially interesting since Luke, the author of Acts, does not record this saying in his own Gospel. In fact, this agrapha [from the Greek word meaning "unwritten"]6 does not appear in any of the four canonical Gospels and is a witness to the sayings of Jesus being transmitted in an oral tradition. Many Christian scholars disagree with the theory that the sayings of Jesus were initially transmitted in an oral tradition. The concern is that this would threaten the integrity of His message, and thus threaten the validity of the Gospel tradition. This section of how the New Testament was formed is more problematic, and it should be remembered that the task for the historian is to present the evidence as objectively as possible. We must also always acknowledge that we are working with theories of events that happened 2,000 years ago for which we do not have all the evidence. Probably as early as the late 40s the oral traditions that carried the words of Jesus began to be put into writing. This probably happened in order to protect the integrity of the message, to keep only 'authoritative' sayings intact. The Nag Hammadi texts5 seem to shed light on this phase of the Gospel development. It is likely that the early leaders began to hear odd sayings like this one and determined that an authoritative set of sayings needed to be recorded. Most scholars believe Mark's Gospel was the first of the four New Testament Gospels written, followed by Matthew and Luke. The dates given vary widely from the early 60s (for Mark) into the 80s (for Luke). (I personally hold that all of the New Testament was written by 70 A.D.) The difficulty with dating comes from the fact that early writers, like Paul for example, do not quote from any of the four Gospels. Clear quotations do not begin to appear until the early second century. Even more liberal scholars would not suggest a second-century date for the synoptic Gospels. Thus, the lack of quotations is attributed to a slow pace for copying and circulating these documents. Papyrus did not become widely and commonly used outside the Egyptian region until the second century. The earliest non-New Testament Christian documents (Barnabas, 1 Clement, and The Shepherd of Hermas) cite the Old Testament as "scripture" and only make allusions to New Testament texts. Ignatius of Antioch (107-120 A.D.) is full of allusions to, and paraphrases of, New Testament texts. However, it is only when we come to the second-century apologists who verify quotations from what we now call New Testament texts begin to be common. Around 170-175 AD Tatian, a disciple of Justin, created a harmony of the four orthodox Gospels known as the Diatessaron7. This text was accepted in some circles, even being used to replace the four Gospels, but its success was short lived. What this harmony reveals, however, is that the Church was beginning to recognize only four Gospels. Irenaeus also quotes from, or alludes to, almost all the documents that eventually become the orthodox New Testament. These citations are mostly from Pauline works (25+ occurrences from each of these: Romans, 1 Corinthians, Galatians, and Ephesians). His Pauline citations/allusions include all three "Pastoral" epistles. 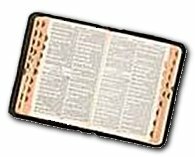 The other general New Testament letters receive scant recognition and a few are totally absent (Philemon, 2 Peter, 3 John, and Jude). He also refers to a few non-New Testament documents as "inspired" (1 Clement, Shepherd of Hermas). By the time we come to the end of the second century and look at the citations of Clement of Alexandria (writings cir. 195-202) and Tertullian (writings cir. 205-225), we find hundreds of references from almost every New Testament document. The New Testament writings that are excluded by these two men are very similar to those of Irenaeus, but Clement then includes many writings as "scripture" that did not get final acceptance. One can take the citations from Clement and Tertullian and reconstruct the entire New Testament excluding the four or five small epistles which they neglect. Indeed, this is a very important factor from this point forward: "Did Clement/Tertullian cite from it?" These are the first two prolific Christian writers. From this point forward we find an increasing number of the Church fathers writing great numbers of documents filled with biblical citations. The Muratorian canon is a manuscript fragment that represents the oldest known orthodox list (or canon) of the New Testament. The beginning and ending of the MS is missing. The document is dated by most scholars to have been written around 170-200 AD. This document was discovered in an Italian library by Ludovico Antonio Muratori, a famous historian of the time. This listing omits Hebrews, 1 and 2 Peter, and 3 John. It also names a few documents that do not appear in the orthodox New Testament. By the end of the second century most of the 27 documents in the orthodox New Testament canon had already gained widespread acceptance, especially the four Gospels and the Pauline writings. It is critical to understand why only four Gospels were accepted. These early fathers were very familiar with the other Gospels that were floating around  Marcion's Gospel of Luke, the various gnostic7 Gospels, and other "proto-orthodox" Gospels that were not well accepted  they wanted to make it clear that these "other" Gospels were not acceptable. There was, however, another very important reason: the Gnostics7. Gnosticism was at its zenith during the second century, especially in Egypt. The various Gnostic texts were rejected by the orthodox. Most of these Gnostic writings were rejected because they had too many bizarre passages and thus were not able to develop and keep a large audience. One important factor for any document to be affirmed as "orthodox" and "inspired" was how much acceptance it received among the churches in the various regions. This acceptance is typically reflected by if, and how often, the Church fathers cited the document. The development of the New Testament in the second century necessitates some discussion of Gnostic texts. The proliferation of Gnostic texts forced Church leaders to address these texts and to explain why the Church rejected them. To illustrate, we will briefly focus on the bizarre nature of these Gnostic texts. It is important to understand that many ancient texts have some strange passages, including the New Testament documents. One must be ready to admit this before launching an attack against strange gnostic texts. For our purpose two examples will be enough. I know there are many who have given explanation for these passages. I have recently read two to three explanations for both of these, and none satisfy me 100%. My point is simply that we must admit to some strange passages in our New Testament documents that cannot be easily explained. I could list many more. And if you read writings of the early fathers, you will find many strange passages as well. One can give some explanation for the strange gnostic passages, but even with the proper historical context bizarre is . . . well, bizarre. This is the critical difference between the New Testament Gospels and the Gnostic Gospels. The Gospel message contained in the New Testament is powerful because it is profound  taking the complicated and making it exceedingly simple to understand. These gnostic texts are just not easy to grasp. The Gospel of Thomas is a good work to cite for this purpose, as it does contain New Testament-like passages, and those who criticize early Christianity like to use Thomas. The point here is that Gnostic writings contain many bizarre passages. The ratio of "normal" to "bizarre" is far different from the orthodox New Testament writings. In addition, the degree of bizarre is far more acute in these Gnostic writings. Read my study: An Introduction to Gnostic Texts. By the third century there is a noticeable increase in citations from the "inspired" writings that eventually become the New Testament, and far less citations from works that do not make it into the New Testament. The most prolific third-century writers are Tertullian (already mentioned), Hippolytus of Rome, Origen of Alexandria, and Cyprian of Carthage. Many people think the New Testament writings were agreed upon at the Council of Nicea. There were 20 canons (Church rules) voted on at Nicea; none dealt with sacred writings. The first historical reference listing the exact 27 writings in the orthodox New Testament is in the Easter letter of Athanasius in 367 AD. His reference states that these are the only recognized writings to be read in a church service. The first time a church council ruled on the list of "inspired" writings allowed to be read in church was at the Synod8 of Hippo in 393 AD. No document survived from this council; we only know of this decision because it was referenced at the third Synod of Carthage in 397 AD. Even this historical reference from Carthage, Canon 24, does not "list" every single document. For example, it reads, "the Gospels, four books..." The only reason for this list is to confirm which writings are "sacred" and should be read in a church service. There is no comment as to why and how this list was agreed upon. The Apocrypha was not in the original listings of the New Testament, but were first added to editions of sacred writings by Jerome in the fifth century. These are works written during the inter-testamental time, between Old Testament and New Testament. These writings were never in the Hebrew Old Testament, but were included in the Septuagint, the Greek version of the Old Testament. Jerome included these writings in his edition of the Bible in between the Old Testament and New Testament and he called it "apocrypha" or "hidden" writings. The term "apocrypha" was used in the ancient world to indicate something either originating from oral tradition, or containing "secret" material, not suitable for a general audience. As Jerome's Vulgate version of the Bible was copied, some monasteries/copyists were not as careful to designate it as "apocrypha" and thus these writings began to be used by some in the Catholic Church, and some doctrinal concepts were affected by these texts. Interestingly, none of the New Testament writers quote any of these writings, although there are a few quotes from non-Old Testament "apocryphal" works. Many of the second0century Church fathers make citations from "The Apocrypha" as inspired text. These writings were accorded "scriptural" status in the Old Testament, not the New Testament, prior to Jerome at a few synods. Luther and other Protestants did reject the Apocrypha as biblical text and it may indeed have had something to do with purgatory and prayers for the dead (something Luther really disagreed with). Luther and the other Reformers also demanded that the biblical text should be translated directly from the original languages and not from Jerome's Latin, which was a less-than-satisfactory translation of the Greek and a very poor translation of the Hebrew Old Testament. The Reformers were scholars and knew that the Apocrypha had not been included in the Hebrew Old Testament; this probably affected their view of the writings as well. It was only after the Reformation, at the Council of Trent in 1546, that the Catholic Church officially stated that these writings were included in the inspired text of the Bible. 1 canon n. a collection of books accepted as holy scripture, especially the books of the Bible recognized by any Christian church as genuine and inspired. 2 Septuagint n. the oldest Greek version of the Old Testament; said to have been translated from the Hebrew by Jewish scholars at the request of Ptolemy II. 3 patristic adj. of or relating to the writings of the early church fathers. 4 Dead Sea Scrolls n. a collection of written scrolls [containing nearly all of the Old Testament] found in a cave near the Dead Sea in the late 1940s. 5 Nag Hammadi n. a collection of 13 ancient papyrus manuscripts translated from Greek into Coptic (liturgical language written in the Greek alphabet). Farmers discovered it in the Egyptian desert in 1945 sealed in a large clay jar. The manuscripts contain 45 distinct works including the chief sources of firsthand knowledge of Gnosticism8 [a heretical religious teaching]. You can learn more about it at www.answers.com or in the book "The Nag Hammadi Library in English" by James Robinson (pp. 22-24, rev.ed., HarperCollins Paperback, New York - 1990. 6 agrapha n. the sayings of Jesus not written in the canonical Gospels but known from other ancient sources. 7 diatessaron n. a continuous narrative arranged from the first four books of the New Testament. 8 Gnostic/Gnosticism n. A religious orientation advocating gnosis [intuitive knowledge of spiritual truths] as the way to release a person's spiritual element; considered heresy by Christian churches. 9 Synod n. A council convened to discuss ecclesiastical business.